Lenovo today announced the launch of the 5.0” Lenovo VIBE S1, a unique smartphone with two front cameras and an attractive curved-glass back design available in two color options. This latest addition to the VIBE family combines the ability to take really creative selfies with a fashionable exterior. The VIBE S1 is truly unique because of its dual selfie cameras – the 8MP primary front camera takes the sharpest photos and a 2MP secondary front camera analyzes depth of field information to replicate human binocular vision. These two cameras work in tandem to unleash a myriad of new possibilities that can give selfies a creative twist. After taking a selfie with both cameras, there are various options to modify the selfie by selecting from a number of built-in photo editing tools. ‘Blur’ allows refocusing anywhere on the seflie (up to 3 focal plains) or adding a ‘bokeh’ effect to the background to stylize a selfie or simply to get rid of a photo bomber. With ‘Cut Out’, people can be cropped out of a selfie and then placed on any other image (from a wide selection preloaded on the VIBE S1 or downloaded from the internet), and even on a photo taken with the rear camera of the VIBE S1 smartphone. No matter where the selfie is taken, the person in it can be cut out and placed in front of the Eifel Tower or the Taj Mahal for instance. Night or lowlight selfies are now possible with the VIBE S1’s front camera BSI sensor that improves the clarity and quality of after-dark selfies. And for the true selfie expert, the experience can never be complete without the VIBE Xtension™ plug-in selfie flash that allows up to 100 picture-perfect selfies on a single charge, at once achieving a more natural color tonality in the selfies taken in low-light conditions. The VIBE S1’s 13MP rear camera, allows users to capture life’s moments with crystal clarity. The rear camera boasts of phase-detection autofocus that dramatically increases focusing speed. Plus, a dual-color flash optimizes color tones based on ambient lighting. The VIBE S1’s designers paid special attention to every detail of its craftsmanship. Users will enjoy the look and feel of this smartphone with a curved-glass rear panel made of the latest Gorilla® Glass and the thin rounded metal frame that goes round the side. With its thin 7.8mm profile and weighing only 132g, it’s designed to snuggly fit in the user's hand. The VIBE S1 does not compromise on performance. Powered by a 64-bit MediaTek Octa-Core processor and 3GB of RAM, it is capable of breezing through any task. With 160GB of storage (with up to 128GB of microSD external storage support), the VIBE S1 can easily accommodate around 40,000 photographs. It comes preloaded with an Android™ 5.0 (Lollipop) operating system. Users can view their selfies and photos on a vivid 5.0” Full HD display and easily share all their photos stored on the VIBE S1 with Lenovo’s star SHAREit app which comes preloaded. Finally, the VIBE S1 is capable of 4G LTE connectivity speeds. Lenovo VIBE S1 will be available in two attractive color options: Pearl White and Midnight Blue. 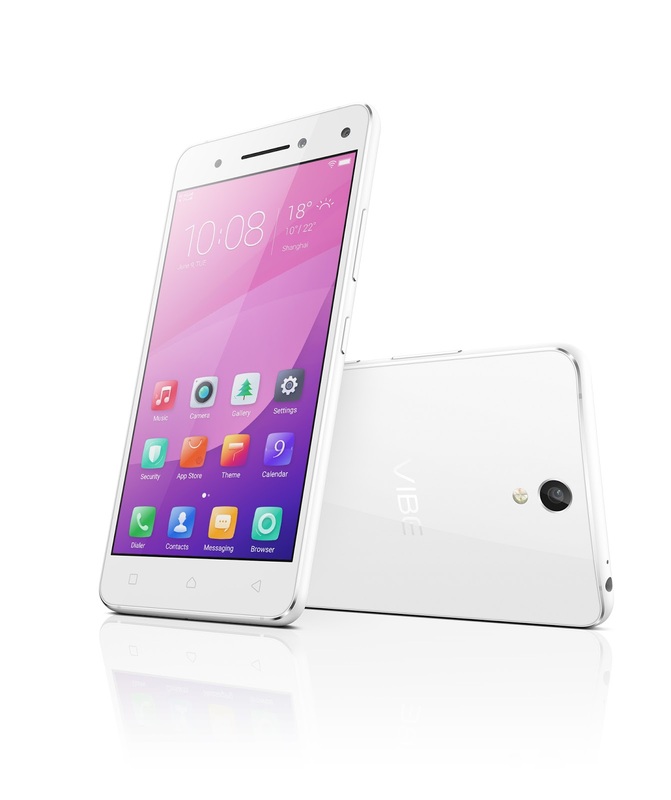 The VIBE S1 will be available starting in November in countries where Lenovo smartphones are sold. Pricing for the model starts at $299 (USD). Prices may vary from country to country. 0 comments on "Lenovo VIBE S1 Dual Selfie Camera Smartphone takes selfies to the next level"